A few years ago, there was a temporary media buzz generated by an article in The Lancet Infectious Disease journal. That highly respected medical journal is, as is true of most such journals, a pro-vaccine, pro-pharmaceutical medical industry publication that is published in London. The article showed that flu vaccinations were far less effective than had been previously believed. In fact, that particular study suggested that the trivalent flu vaccine currently being pushed at that time approached worthlessness. The article’s principle author was Michael Osterholm, PhD, MPH, a widely published infectious disease researcher who, prior to his current faculty position at the University of Minnesota, had served in various capacities with the CDC and the Minnesota Department of Health (MDH), including a high-profile role as the MDH’s Chief of the Acute Disease Epidemiology Section. For 15 years of that association with the MDH he served as Minnesota state epidemiologist. Dr Osterholm, who is not a physician, has published over 300 articles and is highly respected in his field. The Lancet study, in the reports that I listened to on NPR and then did additional research on, was deceptively reported by NPR as “being 60% effective” thus implying that that season’s trivalent flu vaccine should still be regarded as “moderately effective” for flu prevention (rather than being brought into question as the nearly worthless vaccine that it was). What could explain the disconnect between the real hard science and the media propaganda? Seeing no sign of a public retraction from Osterholm or his co-authors about the glaring disconnect, I began to wonder if the researchers were even aware of the depths that so many other medical, psychiatric and pharmaceutical industry researchers have stooped to when their research is reported in the mainstream media or even in medical journals. Misleading statistics that have appeared in medical journals are also used in drug commercials or by drug sales representatives when they try to convince us physicians to prescribe their company’s often toxic and often worthless or dependency-inducing synthetic drugs. What I am talking about is the common statistical trick of the pharmaceutical trade called the Relative Risk Reduction (RRR), a statistic that intentionally inflates embarrassingly low or even statistically insignificant results that had been obtained from corporate-controlled – and therefore very dubious – research studies. What the public deserves to be informed about, but usually doesn’t receive, is the far more meaningful Absolute/Actual Risk Reduction (ARR) numbers, which, compared to the RRR, are often so small and unconvincing that any rational thinker would regard the study as a failed one. Hence, the cunning invention of the misleading RRR. I will deal with the important mathematical differences further below. A lot of medical research these days is done by mercenary academic scientists – often with PhDs – that often are not clinicians. 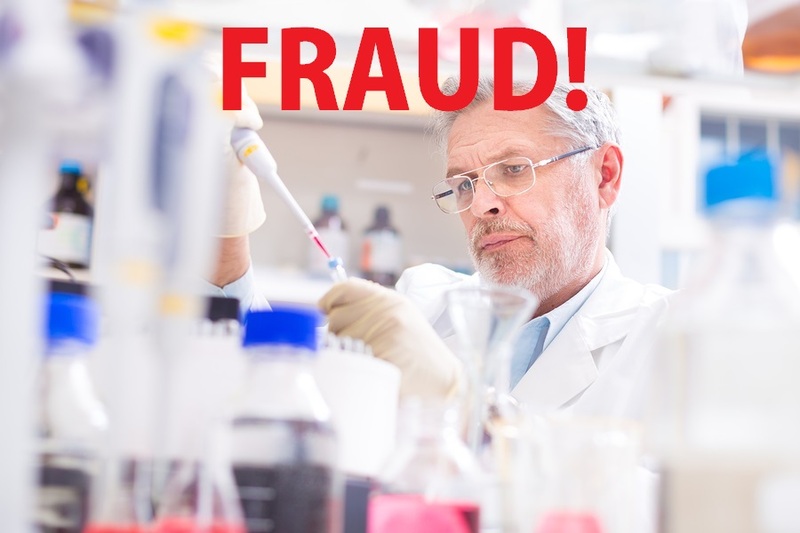 The vast majority of such dubious research, estimated to represent over 80% of the medical research that is currently being done in America, are in the employ of the for-profit drug and medical device industries. The journal articles that list them as authors are commonly written by mercenary ghost-writers who are paid by the corporations that designed and funded the study. And what should worry everybody is the fact that the self-interested corporations have exclusive control over how the research is utilized. Whoever pays the piper, calls the tune. The mercenary researchers involved in such studies are naturally highly motivated to obtain positive results so that their Big Pharma paymasters will be able to get FDA approval and thus generate an increase in the value of any stock holdings that may be part of their compensation package – not to mention additional contracts with the drug or vaccine company if negative results are not found or reported. 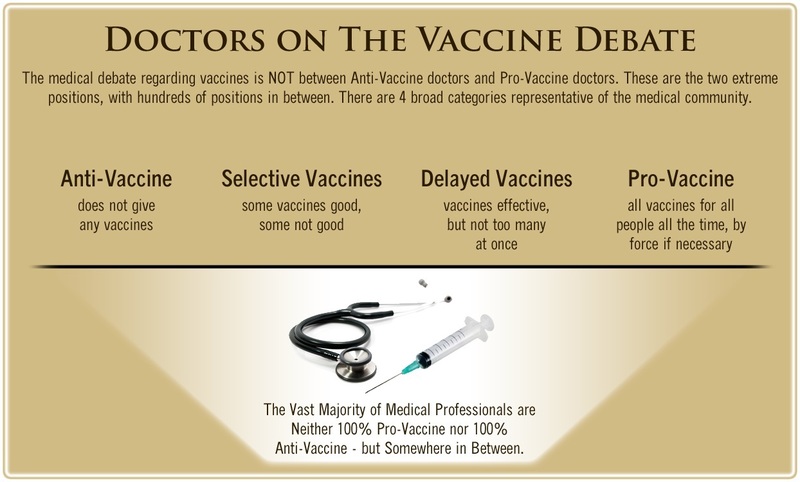 I hasten to add that there is nothing wrong with making money in an ethical and honest manner, but a lot of medical research intentionally overstates the positives and minimizes, or even hides, the negatives of their new drugs, vaccines or medical devices. One of the problems alluded to above is the widespread use of the grossly misleading statistic called the Relative Risk Reduction (RRR). It is important for consumers and prescribers of new drugs or medical devices to thoroughly understand the differences between the RRR and the ARR (Absolute or Actual Risk Reduction), the latter of which is the only reliable statistic and therefore not often used. Usually, if the ARR is mentioned at all, it is only noted in the fine print. The Lancet article that revealed the lack of efficacy of flu shots did indeed deceptively report a “60% efficacy rate.” As one would expect that very phrase was prominently reported in the media, which also pointed out the commonly-accepted past estimates of “90% efficacy” in past flu shots. The deception involved was the fact that both the 60% and the 90% figures were intentionally misleading RRR stats. But what wasn’t reported in the media reportage was the fact that the ARR for the flu shots was a miniscule 1.5% efficacy. If that figure had been used, people would have balked at consenting to the shot. And, as any honest, non-co-opted, thinking person can see, the difference between the misleading figure of 60% and the real figure of 1.5% is huge – and, as ever, represents just another cunning statistical trick that is used to promote highly profitable drugs, that, incidentally, are often unaffordable and can also be toxic and dependency-inducing. 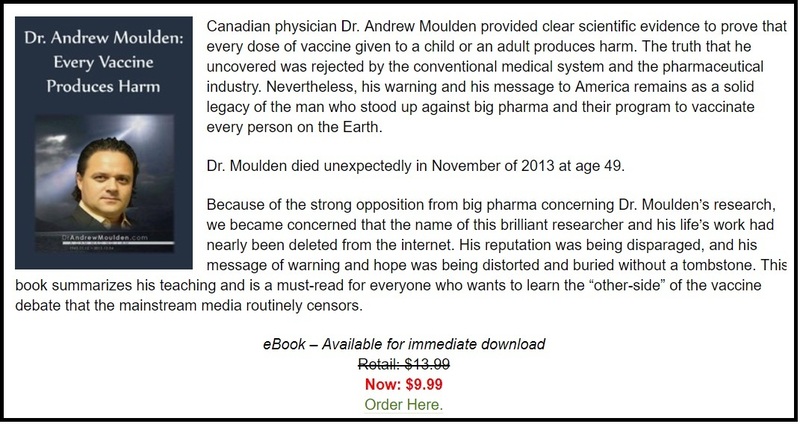 Seeing the truth of the matter and repeatedly listening to the misleading media interpretation that influences patients as well as their physicians, clinics and hospitals (in the case of coercing nurses to receive flu shots annually or be fired), I knew that some somebody needed to blow the whistle on this common Big Pharma fraud. Hence this article. To make my point about the deceptiveness of the RRR statistic to those who are non-scientists or non-mathematicians, I present the essential math that needs to be pointed out, especially to us physicians (including hospital infectious disease specialists) who are as easily fooled by Big Pharma’s propaganda tricks as anybody. In the Lancet study mentioned above, the researchers found only 357 victims of influenza among the non-vaccinated pooled sample of 13,195 that were studied (2.7% incidence). That means that only 2.7 persons out of every 100 non-vaccinated persons (2.7%) got symptoms compatible with the flu, meaning that 97.3% of the unvaccinated individuals did not get the flu despite not getting the shot. 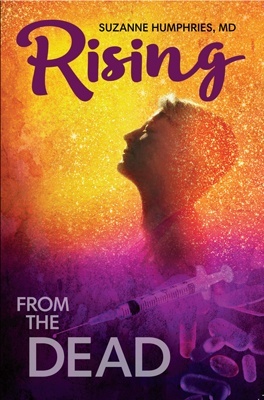 Good odds that many people would accept if they had been actually informed about the actual risks (ARR) of forgoing the shot and avoiding more unnecessary exposure to injectable mercury. The study also stated that 1.2% of the vaccinated population still got flu symptoms even though they received the flu shot. So 98.8% of people who were vaccinated did not get the flu which was not a lot better that the 97.3% of the non-vaccinated people who didn’t get either the flu or the flu shot. Simple subtraction tells us that only a tiny percentage of flu shot recipients, 1.5% (98.8 – 97.3 = 1.5) – versus the advertised 60% – benefited from getting the shot and that approximately 98% of both the vaccinated and unvaccinated groups were destined to not get the flu whether they took the shot or not. Relative risk reduction is calculated by dividing the 1.5% incidence number above by 2.7% incidence number, which equals a seemingly large number of 55%, (which was rounded up to get the talking point figure of 60% efficacy). To get the more meaningful ARR of 1.2% efficacy (versus the deceptive RRR of 60% efficacy), one subtracts 1.5% from 2.7% = 1.2%. Therefore the true benefit calculation (the “Absolute/Actual Risk Reduction”) of submitting to a flu shot is a miniscule figure, and represents a risk that many people would be willing to take if they were told the truth about flu shot failures, especially when figuring into the equation the monetary costs, the mercury exposure and the fact that Vitamin D3 and Vitamin C intake has been found to be better flu prophylaxis than any vaccine! 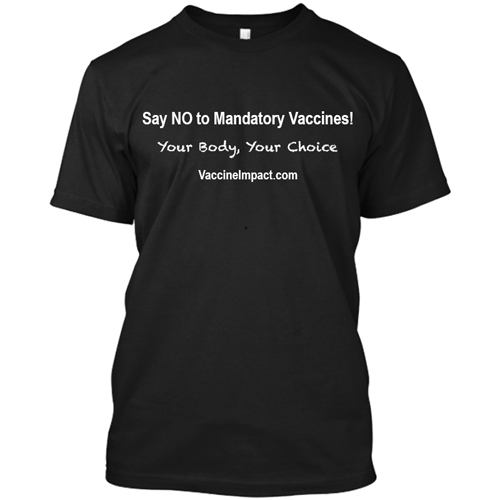 Another important point that needs to be emphasized is the fact that the 98 % of the vaccinated population who weren’t going to get the flu anyway were unnecessarily being injected with mercury, the most toxic ingredient in the intra-muscularly injected viral influenza shot. The following potentially dangerous ingredients of vaccines such as the “pneumovax” shots that are acknowledged to be in other vaccines are formaldehyde, aluminum, immune system-stimulating adjuvants like squalene, mycoplasma contaminants, viral contaminants, DNA fragments, trace minerals and who knows what else? Incidentally, the incidence of serious bacterial infections that can be caused by the Streptococcal pneumoniae bacteria are actually pretty rare. The World Health Organization says that in developed countries like the US, because of better nutrition and less poverty, the annual incidence of invasive pneumococcal disease ranges from 10 to 100 cases per 100 000 population (ie, as few as 1 case out of every 10,000 people per year!). Fosamax, manufactured and marketed by Merck & Co (of Vioxx infamy) was the first of a number of popular and highly profitable, allegedly “osteoporosis prevention” drugs that, in addition to many other as yet unknown or unappreciated long-term adverse effects, interfered with a patient’s fragile, complex and incompletely understood bone metabolism. The drug had been proven to increase bone “density” in some patients, but increasing density did not necessarily mean increases bone “strength”. The most dramatic adverse effect of this class of drugs was the disastrous osteonecrosis of the jaw and atypical femoral fractures, for which Merck has been inundated with lawsuits (4,400 as of June 2016). GlaxoSmithKline, which markets Boniva, has also been inundated with lawsuits. The infamous proclamations that Merck made deceptively asserting that “Fosamax reduces hip fractures by 50%” was based on the misleading “relative” hip fracture relative risk reduction (RRR) calculation that came from the original 4-year clinical trial. What was intentionally not mentioned in Merck’s deceptive marketing campaign was that the actual risk reduction (ARR) for Fosamax was only 1% (not 50%), which is a minuscule figure unlikely to benefit the vast majority of the elderly women who took the drug continuously for 4 years. The Fosamax hip fracture study was conducted on a group of older women who were regarded as being at high risk for future fractures. In the Fosamax-treated patients, an average of 1 out of every 100 patients suffered hip fractures after 4 years – an incidence of 1% – whereas an average of 2 out of every 100 non-drugged patients suffered hip fractures, an incidence of 2%. To come up with the misleading RRR calculation, Merck’s deceptive statisticians divided 1% by 2% and came up with a 50% reduction – relatively speaking. But in order to deceive us physicians of the value of prescribing such a worthless and dangerous drug, the miniscule actual risk reduction figure of 1% had to be kept well-hidden. The Merck, et al deceptive statistics also meant that 98% of non-drug treated patients did not get a hip fracture after 4 years of Fosamax, and 99% of Fosamax-treated patients likewise did not get a hip fracture, thus receiving virtually no benefit from taking the toxic and costly drug for many years. 80% of media ads deceptively claimed that “Fosamax cut the risk (of hip fractures in elderly women) by 50%” And not many physicians saw through the clever subterfuge!! I have to admit that I was as fooled as the other Big Pharma-brain-washed physicians until I finally figured out the mathematical trickery. In my defense, I was always suspicious that the 50% figure was a lie, and I never actually did prescribe Fosamax. In fact I have ever consistently boycotted all Big Pharma corporations that have tried to deceive me by their various methods of trickery. Again it must be emphasized that 98 – 99% of elderly patients in the Fosamax double-blind clinical trials experienced no hip fractures, whether they were in the drug group or in the placebo group. But the treated group risked experiencing disastrous adverse effects, some of which are incurable and incur terrible suffering and medical expenses, including the most serious one, Osteonecrosis of the Jaw (Dead Jaw Syndrome). In addition Fosamax victims have experienced drug-related Atypical Femoral Fractures, Esophageal Cancers, Atrial Fibrillation, and Severe Musculoskeletal Pain, all consequences that the members of the untreated group were not at risk for. Being fully informed about all the pros and cons of any diagnostic assessment, drug treatment, medical device usage or surgical procedure used to be the sole obligation of the involved health care provider. Nowadays it seems that such health information is being taken over by the propaganda techniques of cunning mega-corporations who can afford to pay the billions of dollars for propagandizing patients and their physicians, for lobbying Congresspersons and presidents to enact favorable legislation and to pay the costs of the inevitable lawsuits for damages done when the injured patient hadn’t been given fully informed consent before being victimized by the “treatment.” Nowadays patients are regularly propagandized to demand advertised drugs from their doctors. There is hardly a glimmer of good news in American medicine today, in that the spirit of Hippocrates (he who first declared the “First Do No Harm” code of medical ethics) seems to be on its death bed – ever since the sociopathic, profits-before-people Big Pharma cartel seduced Big Medicine and spoiled the previously honorable practice of medicine that I and so many other ethical physicians used to feel proud of being a part of. Our patients have been rapidly losing trust and respect for America’s corporate-style, highly efficient and highly impersonal practice of medicine, which has been consciously morphing into an unaffordable, hard-hearted, dog-eat-dog, let-the-buyer-beware, bankrupting imitation of “greed-is-good” Wall Street.